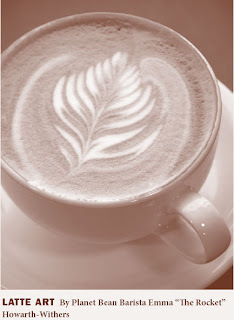 A new website called The Best Cup Of Coffee has reviewed a couple of our coffees. "I drink a heck of alot of coffee. And it goes without saying that the coffee I drink MUST produce the best cup possible. I’m not interested in the cheap, commercial coffees that our supermarkets and cafes are flooded with. I’m talking about gourmet, fresh roasted coffees. Coffees roasted by magicians, magicians that we call Master Roasters in coffee land. You see, a lot of work goes into coffee production before it reaches your cup. Coffee farmers cultivate the land in order to produce the best cup possible. Then, it is milled and fermented before each and every bean is sorted by hand in order to give you, yes, YOU the best cup they have to offer. Once the coffee is bagged, it is loaded onto large cargo ships and exported around the world. The next step is the magic. Once a roaster has received the coffee, it is their duty to roast it perfectly, revealing secrets inside each bean that only a master can find. Finally, the coffee is brewed and served. There are countless ways to brew up that perfect cup. Drip, french press, espresso, just to name a few, are probably some of the most popular ways to brew it up. Of course, it all depends on how you like it!" Take Me To Your Barista! I’ve been asked to write about being a barista. So, at the risk of being brutally teased, I’m going to give you a glimpse of the frightening geekery that is my mind. I’ve been working for about four years now at Planet Bean. This follows notable and proud careers as a dishwasher, cashier, meat slicer, and other varied entry level positions. This job, I assure you, is of a completely different breed. A barista, Italian for bartender, is a professional espresso machine operator. My job is to understand and recreate all the elements that make perfect espresso. I get to be the last pair of hands in a line of experts which spans centuries and continents. At every step in the coffee process, there have been minute changes that have affected the end result in your cup. As the last person in the line from farm to cup, I appreciate the effort and skill of the countless other experts who are responsible for the coffee that I work with. Any mistakes on my part can turn a wonderful, golden, creamy espresso into a waste of time. So, what do I actually do, aside from push a button and pour your coffee? I pay careful attention to what I’m serving. With fervent attention to detail, I condense four years of practise making espresso into about 30 seconds of preparation time. I keep my grinds at such a level of consistency that even the temperature and humidity in the air will require an adjustment. I vigilantly hand-dose each espresso shot into my filter. I use my “Reg Barber (top-of-theline-personalized-rocket-ship)Tamper” to pack each shot at exactly 30 pounds of pressure, and then polish it with a twirl to keep the water flow even. I lock it in and let it brew immediately, because temperature stability is a must. I count in my head, gauging the best brew time by colour and consistency of pour, and stop the machine right before any overextraction and bitter flavour can escape and ruin my one ounce of heaven in beverage form. I might have gotten a bit enthusiastic there and lost the point. What I meant to say, of course, is that there are a lot of ways to ruin a coffee, and my job is to treat it with the delicacy, knowledge, and expertise that I’ve only just begun to understand. The best baristas have made a career of this. There are guilds for this! Last summer, I went to the Canadian Barista Championship with our roasters. There, under bright lights and cameras, they had set up a fake coffee bar counter. The competitors made espresso under the close scrutiny of technical and sensory judges, and to the applause of a (entirely barista) crowd. Briefly, my vision clouded. I felt like I’d discovered Atlantis…and it was made of Arabica beans. There is a flourishing coffee culture across the world that we as baristas get to be a part of, and yes, I find that a little absurd, but also fascinating. I love my coffee and the culture that comes with it. If you come into the shop and notice me hovering awkwardly next to the (my) Elektra (oh-so glorious Elektra! ), it’s not because there’s nothing else to do. It’s because I am desperately hoping that you, my dear customer, are going to order a double espresso. I love my job because there’s something awesome that I can do, and I want to share it with you. Please, next time you come into Planet Bean, order an espresso. 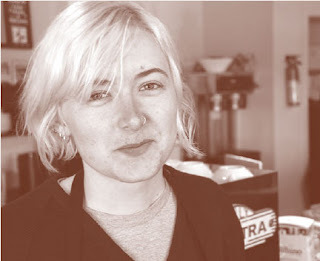 It might be a jolt at first, but we baristas will lead you, gently and compassionately, into coffee geekery. Ethiopian Yirgacheffe - Always a crowd pleaser. This coffee has won countless awards, and being from the birthplace of coffee there should be no question as to why that is. Our yirgacheffe is a fully washed bean that is bright and comforting in the cup. Try some today!!! Ethiopian Sidamo (natural process) - The sundried process that our Sidamo goes through produces a wonderfully fragrant, fruity cup. Heavy hints of blueberry are nicely accented by subtle splashes of clove and spice. Guatemalan Loma Linda - This coffee is one of our best offerings of south and central American beans. Roasted to just after first crack, it presents a bright and refreshing acidity that leaves your mouth craving the next sip!!!! Keep checking here for our new arrivals between now and August!!!! Planet Bean Coffee and Guelph International Resource Centre are collborating to hold an event at the Coffee Roastery Headquarters late in April. BUT ON APRIL 26 WE HAVE SOMETHING SPECIAL GOING ON! Starting at 10 am we will be building and selling RAINBARRELS with the people from the Guelph International Resource Centre (GIRC) a local non-profit organization that has been involved in water conservation in Guelph for over a decade. You are welcome to join in and help us build. We will also have DISPLAYS from other community organizations working on water issues. From 1 PM until 3 PM there will be a free WORKSHOP on how to plan your water efficient back yard garden with Sean James. We will look at plant selection based on landscape and introduce you to some drought tolerant plants. Planet Bean brewmaster Elijah will be on hand to give ADVICE on how to brew the perfect cup of coffee. For more information call us at the Grange Coffee Bar 519-837-1040 or e-mail jess@planetbeancoffee.com. Information and pricing for the GIRC rainbarrels can be found at www.girc.org. In 2007, Planet Bean was recognized as being on of the first fair trade companies in Canada. "This year is Transfair Canada's tenth anniversary, so we decided to celebrate the companies that have been with us from the beginning," said Robert Clarke, Executive director of the Ottawa based Transfair Canada. "Planet Bean is one of the first, and has always been committed to selling 100% Fair Trade certified coffee." 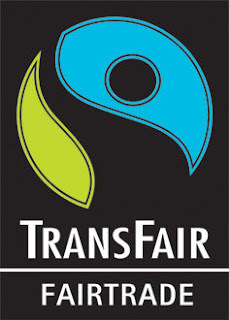 Transfair is the national third party certifier of Fair Trade products in Canada. 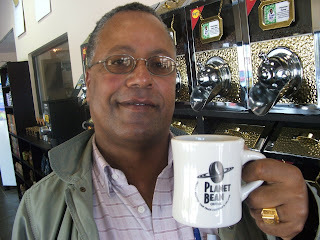 Planet Bean was one of the first North American companies to purchase fair trade coffee beans from the OROMIA Coffee Farmers Co-operative union of Ethiopia. 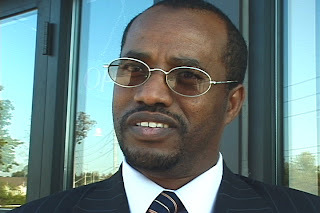 In 2004, we visited Ethiopia and interviewed many of OROMIA's farmers with Tadesse Meskela the manager of the Union. something of an international celebrity since being featured in the documentary Black Gold. He is in high demand all over the the world these days so it was great he could spend time with us and travel around southern Ontario meeting the people who purchase his coffee from Planet Bean. "Since your visit in 2004 or co-operatives have done a ot of things, especially from the fair trade premium. Five co-operatives have built elementary schools for their communities, there are also others who have built an additional 21 classrooms for existing schools, and five health centres have been built in these coffee areas. Also, 27 clean water supply stations for our communities." m me, thats how they should know to by coffee from this company." On September 18th, 2007, Planet Bean became the first Canadian coffee company to sign on to the Ethiopian Coffee Trademarking and Licensing Initiative for the use of Yirgacheffe, Sidamo and Harrar (Harar) coffee origin names. Previously, Ethiopia had been unable to obtain trademark rights to these indigenous coffees because Starbucks and other large international coffee companies had made prior claims to trademark these origins. A major campaign, led by Oxfam finally forced the companies to back down, allowing Ethiopia to exercise its right to use international intellectual property law to benefit its four million coffee farmers. The signing of the agreement was attended by Mr. Abdurahim Mohammed Ali, Charge d'Affairs of the Ethiopian Embassy to Canada, as well as representatives from the Ethiopian Intellectual Property office and the embassy in Washington. Planet Bean became the first Canadian coffee company to sign to the Ethiopian Trademark agreement this year. and we look forward to this agreement benefiting everyone." At Planet Bean we are very happy to offer you nothing but 100% Fair Trade and Organic coffee. All of our coffees of of Gourmet nature, and grown under the canopy of intact tropical rainforests....all while paying coffee producers fairly!!!! Ethical We believe our success is grounded in a moral economy informed by the principals of fair trade for our producers, our workers , our shareholders and our customers. Respectful We are respectful of the many hands that touch our coffee - from the farmers who grow and harvest it, to the roasters who roast it, the baristas who brew it and to those who drink it. Ecologically Sustainable We believe our success as a business is measured not only by our financial earnings but also our ability to reduce our ecological footprint, improve the health of the planet and advance organic production. 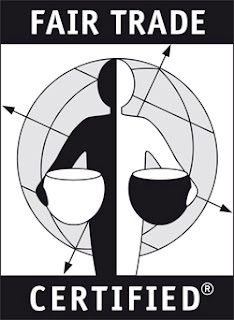 Co-operatively Driven We believe a democratic workplace based on the international principals of co-operation is the way to create a model for a people centred economy.